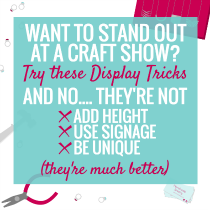 If you’re just starting your handmade business, you may not have gotten so far as to start thinking about selling in stores but it’s a great way to gain exposure, sell more products and expand outside of your local community. 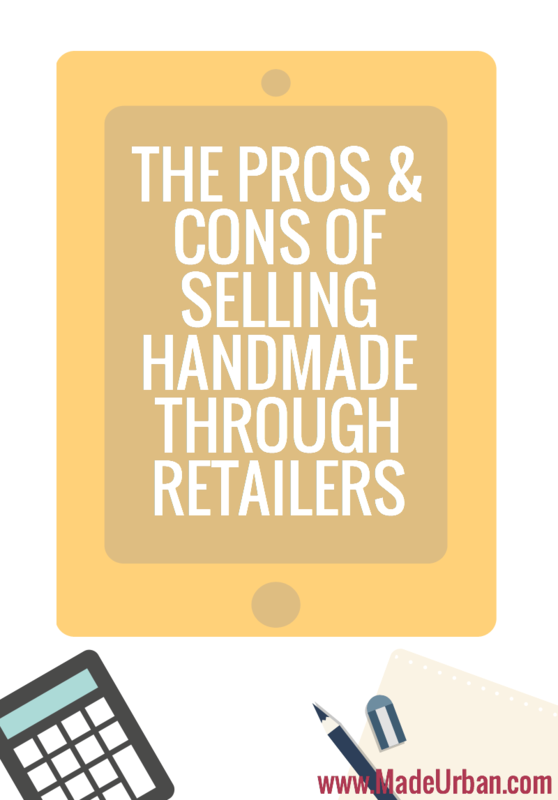 Before you jump in, take a look at your pricing and decide which type of store you want to sell through. 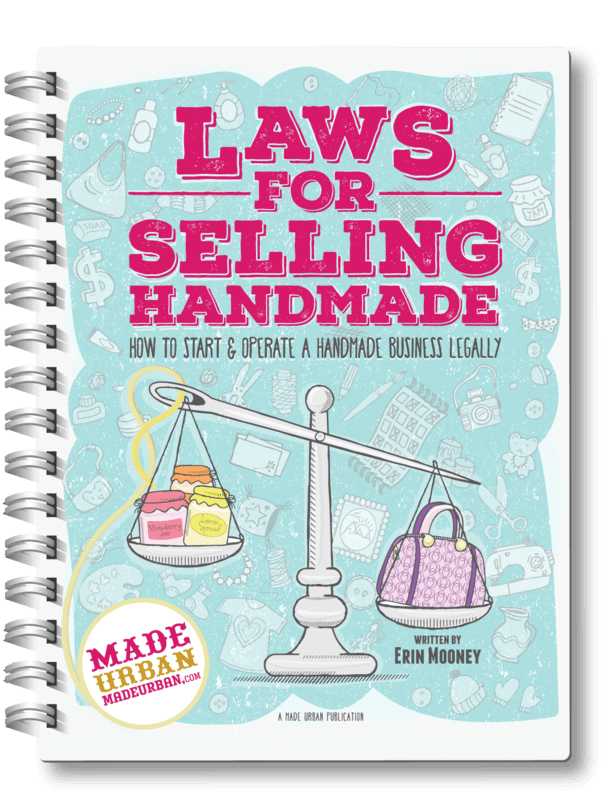 The first thing to check is that your products are priced properly to make a profit selling through retailers. They will expect to purchase your products for around 50% of the retail price. 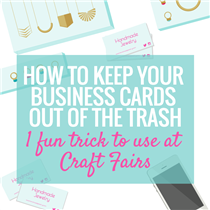 If you take away half the money you receive for one of your items at a craft fair, is the amount you’re left with still give you a profit? When I was approached by a consignment store owner at one of my first few craft fairs, I hadn’t thought about wholesale pricing. Selling one of my handbags at $40 was a pretty good profit but the thought of only making $20 from it made me realize I needed to raise my prices. You may find your own formula for pricing but one that’s commonly followed is: Materials + Time = Costs x 2 = Wholesale x 2 = Retail. 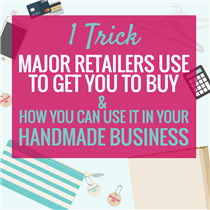 This formula ensures that regardless of whether you’re selling through a craft fair or retailer, your costs are covered and you’re making a profit. type of route you want to take; wholesale or consignment. Take a look over the pros and cons of each to determine which method suits you best. This means that a store will buy your products from you at wholesale price to be displayed and sold in their store. There is a little less wiggle room. If your products don’t sell the first time around, the store owner may not be willing to risk buying more stock from you. Consignment on the other hand, allows you and the store owner to play with which stock works for their store, with less risk. You need to be capable of filling orders by their deadlines. Consignment has a little more back and forth with the retailer and you can usually work with them to stock their shelves with items you have available or what works for you at that time. This means that a store will house your products, paying you wholesale price for any that sell at the end of a determined period and giving you back any that don’t sell. Some boutiques are more generous with their consignment commission giving you more than the 50%. However this can work the other way as well with you getting less than 50% commission. It can be a great way to test the waters and get a feel for what sells and what doesn’t without damaging your reputation with a store. If you sell your items wholesale to a store, they don’t sell and the store takes a loss, they most likely won’t do business with you again. Because the store owner hasn’t put any investment into your pieces it may mean less commitment from them to make that sale. Pieces they’ve already paid for and own, may take priority. You must be very organized with each item they’re given, what sells and what is being returned to you. Don’t rely on the store to keep track of it for you as mistakes can happen. You basically need to put your trust in the store owner that they are going to pay you on time and take good care of your products. You should always do your homework to find out if they are a reputable company. Of course you should always have a contract when dealing with another party so make sure you outline all of your terms regarding payments, products and incidentals before you move forward. Don’t forget to include details regarding how long the shop will keep your items, this especially comes in handy if you sell seasonal products. If you can get them back before the end of the season, that gives you time to sell them online or at a craft fair instead of sitting on them for 6 months. There are also the options of renting a space in a retailers, which not all offer, as well as drop shipping, which is when an online retailer sells your goods but you’re responsible for shipping them. Which is the best option for you?